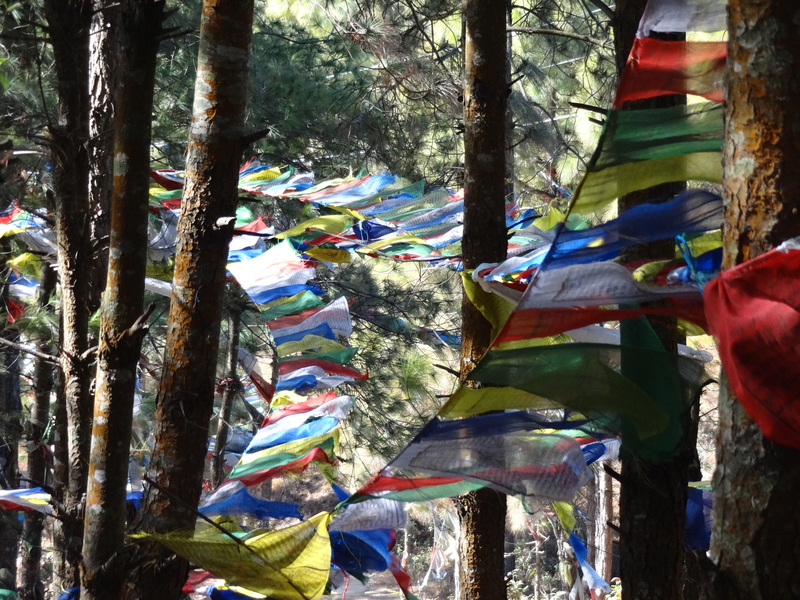 Buddhist prayer flags are a common sight here, strung dramatically from temples, or from tree to tree. A way of promoting peace, the wind blows over the prayers printed on the flags and spreads their message through the air, purifying it. 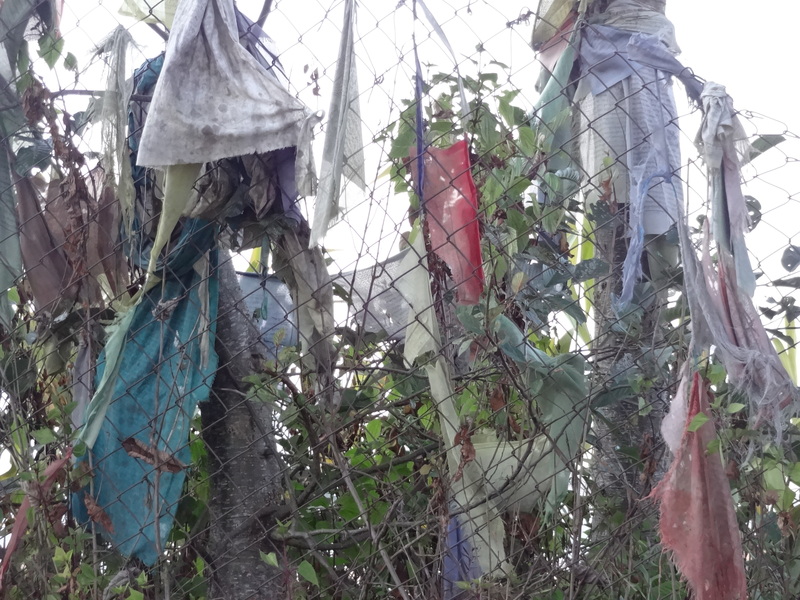 The flags become permanent fixtures of the environment, aging just as with all life, and new flags go up alongside, symbolizing change and renewal. The old ones stay up, they never come down until they rot to the ground. Even then, they cling to fences or lay wherever the wind blows them. The visitor may leave, but his prayers remain blowing on the breeze. Gone but not forgotten. Thanks Claudia. It makes it easier to look at all the “discarded” flags when you look at that that way.